Nuevo San Juan Parangaricutiro in Mexico is a town comparable in population to the rural Oregon towns of Athena, Banks, Bay City, Canyonville, or Heppner. The community there manages an 800-acre forest. Over nine years, local employment tripled. The result: seventy-nine percent of working adult males hold permanent jobs in forestry. The timber goods industry improved from a sawmill, carpentry and workshop to include a chip mill, furniture production, and a resin processing plant. A community store and tortilleria, a library, a bus system, farm supplies store, technical advise station, and a recreational facility were built. Production of seedlings increased from 140,000 to 3,200,000, while protected forest area increased from 155 to 459 acres. Oaxaca, Mexico, provides another inspiring example. An important outcome of community-based forestry management is that logs and lumber are not the only money-makers. There, forest managers use profits for economic diversification into transportation, agriculture, mushroom-hunting, and eco-tourism. These other revenue streams decrease pressure to over-log forests. In this rural, poor area, the economic diversification has increased incomes. Better wages have improved nutrition. The forestry union has invested in sanitation and healthcare, which has decreased disease. Previously, this forest was harvested by concessionaires. Now that the community manages it, they run their own sawmills and logging businesses, and a technically skilled workforce is developing. 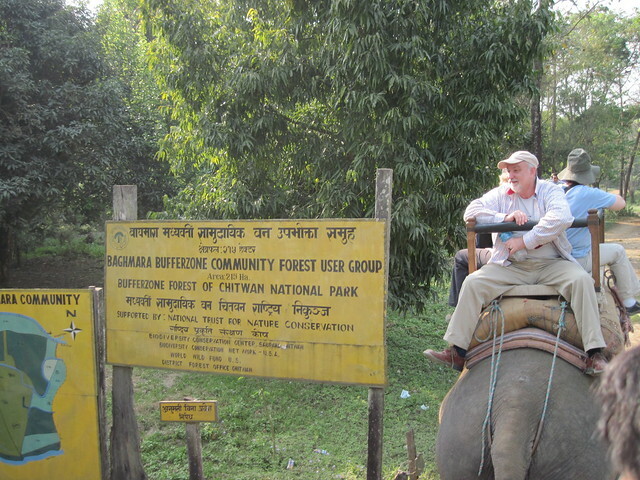 Baghmara Community Forest in Nepal, a former tiger habitat now denuded of trees, uses money from jungle safaris and elephant rides to improve the local forest. The government gave over control of this land to the community to start a tree plantation. The forest there has grown from 32 to 4,000 hectares. In turn, residents now have fodder for livestock and fuel wood for cooking, and are able to harvest small amounts of timber for sale. The Greenbelt Movement in Kenya also began because of scarcity. Dr. Wangari Maathai, the founder, began planting trees in response to government corruption and over-cutting of trees, and as a way to create income, clean water, and fuel for people in her village. She created a work force of women and a funding program. The women villagers then established seedling nurseries. For this work, Dr. Wangari was awarded the Nobel Peace Prize in 2004. Both of the Baghmara Community Forest and The Greenbelt Movement provide community well-being and basic needs for daily living. Both communities are making money by rejuvenating clear-cuts. On Pemba, an island of Tanzania, the main industries are fishing and clove farming. Locals have recently teamed up with Community Forests International. Fourteen Pemban communities are planting trees to grow forests in an effort to create new economic opportunities, such as the harvesting of fruits, nuts, and timber. Pembans are attempting to avoid exhausting their fishery, to improve the natural environment of their island, and to develop rural economies. Community-based forestry management practices are distinctly different from the Business As Usual concession model, in which an outside company leases the land from the forest dwelling community, plants and manages a stand of trees, and makes the harvest. 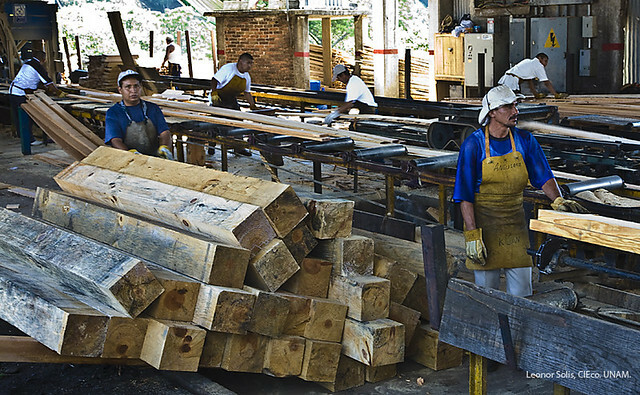 In BAU, the forest community serves as a low-paid, expendable workforce, and the profits go to the concession-holder. This system creates a type of dependency on outside economic influence, rather than economic sustainability through forest management. There is much to learn from the international model of community based forestry management. These projects build local economies and provide real livelihoods to people who live in these forests. As well, these are ecologically and environmentally sound programs. Projects such as these offer a model for economic and environmental productivity functioning in tandem. The following links provide photographs and video clips of the projects listed above. All photographs and videos are copyrighted by the producers, thus links have been provided here as direction to further information about this important topic.